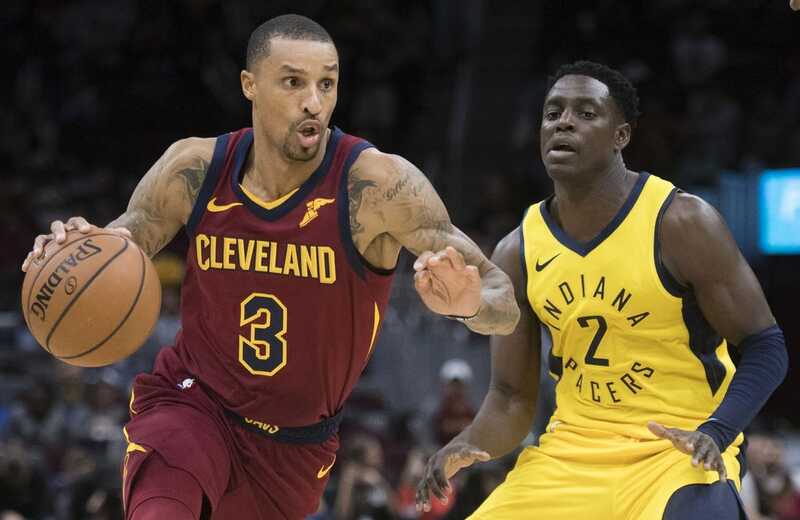 Injuries continue to plague the Cleveland Cavaliers, who will be without point guard George Hill for two weeks due a sprained right shoulder, according to ESPN's Adrian Wojnarowski. Hill sat out Wednesday night in Cleveland's loss to Oklahoma City due to shoulder soreness. Hill's injury is the latest blow to the Cavs, who are 1-10 this season. Forwards Sam Dekker and Kevin Love are both out due to injuries. Rookie guard Collin Sexton will start for the Cavaliers when they face the Bulls in Chicago on Saturday.